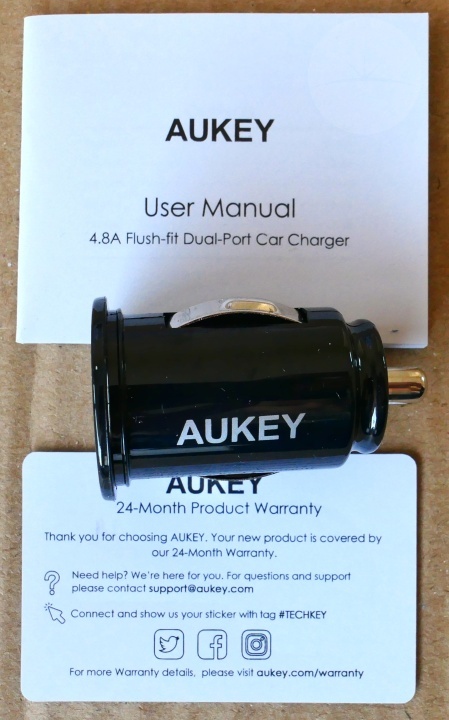 It comes with a small instruction leaflet inside Aukey’s no-frills packaging. 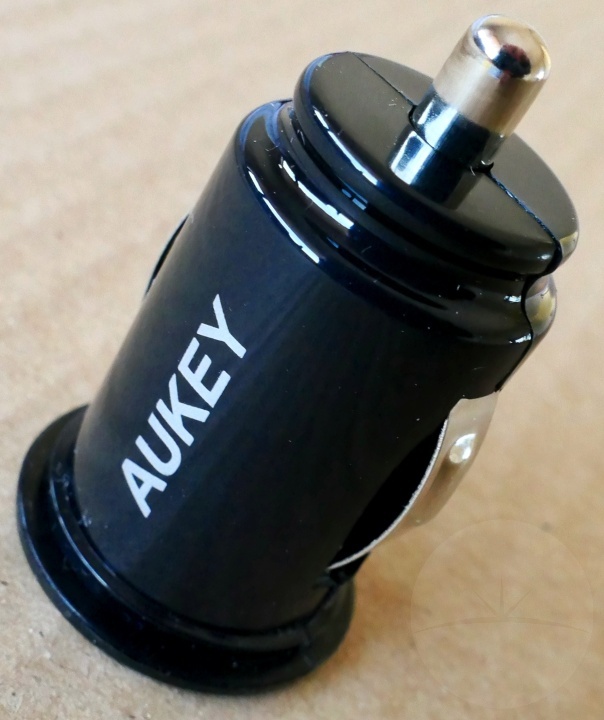 Overall it seems well made with a shell made from shiny black plastic – maybe not as sturdy or premium as metal, but fine at this price point and not something you’ll really notice after it has been inserted. As mentioned, the small size of this charger means it doesn’t stick out of the socket very far. 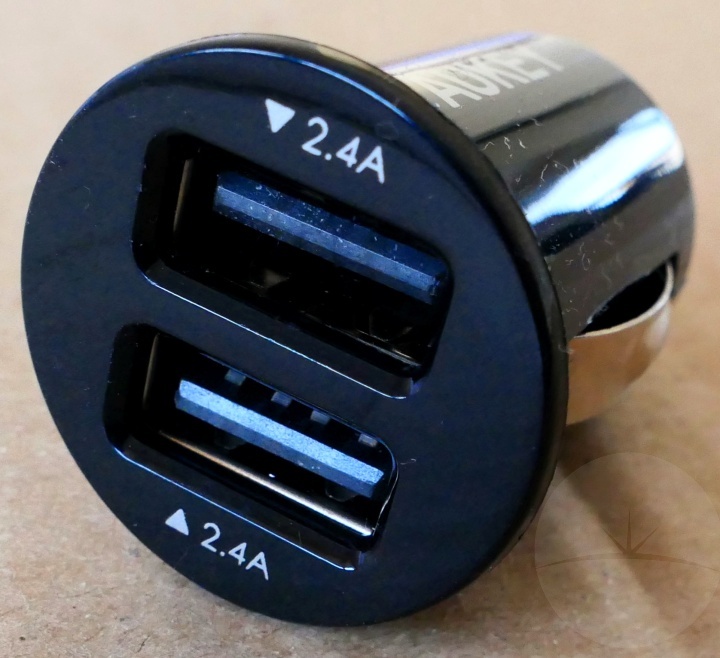 This definitely looks a lot neater than larger chargers. However the ports are also quite close together which may be an issue if you’re plugging in bulky USB accessories. 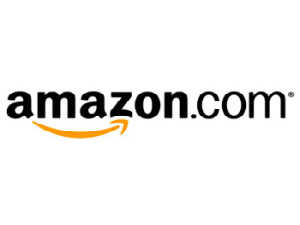 There’s no power indication LED which will be either an advantage or disadvantage depending on how distracting you find them. 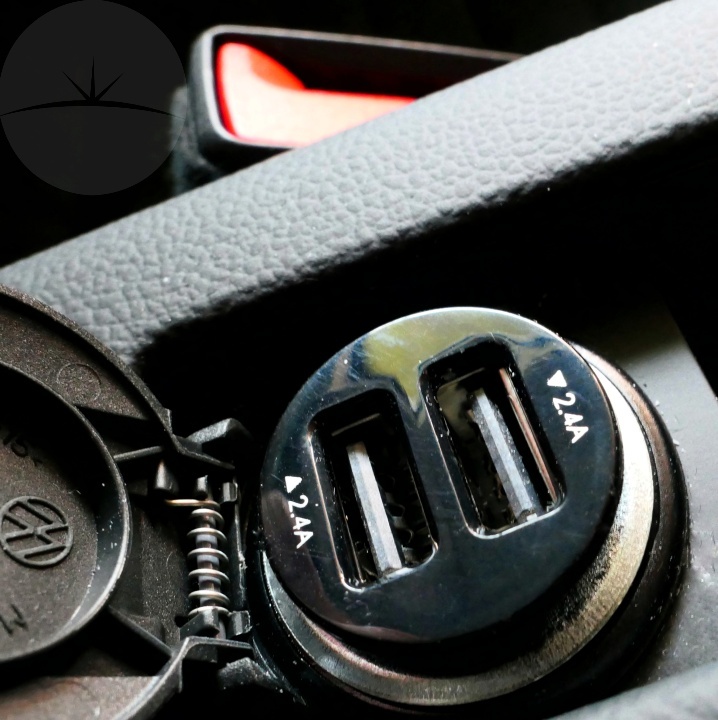 Both USB sockets output a standard 5V 2.4A charge – no faster charging options for phones that support them, but good enough to safely charge most devices at a respectable speed. This charger worked flawlessly for me. I’d say it has an understated design that does what it needs to without really dazzling in terms of features, build or performance. 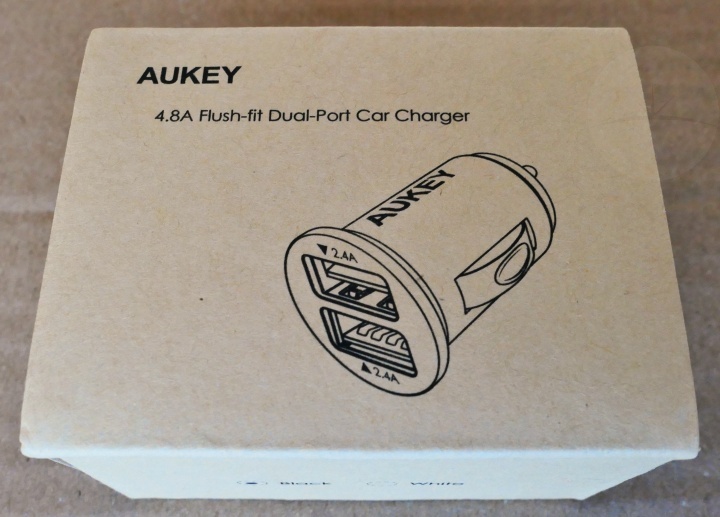 For those looking for a neat way to add a couple of USB charging ports to their car, Aukey’s CC-S1 is a nice little charger for price.